Gretar Tryggvason, the Viola D. Hank professor of aerospace and mechanical engineering and department chair at the University of Notre Dame, has been named the recipient of the Fluids Engineering Award by the American Society of Mechanical Engineers (ASME). The award is conferred annually upon an individual for outstanding contributions over a period of years to the engineering profession and, in particular, to the field of fluids engineering through research, practice or teaching. Tryggvason is being honored for “remarkable contributions to the art, science and practice of computation in fluids engineering and for outstanding leadership in mechanical engineering education.” Presentation of the award will take place during the Fluids Engineering Division Summer Meeting, which is being held in Rio Grande, Puerto Rico, July 8 through 12. Best known for developing a front-tracking method for direct numerical simulations of multiphase flows and the use of this method to examine several systems, including bubbly flows, droplet motion and boiling, Tryggvason’s research interests encompass multiphase and free surface flows; phase changes, including boiling and solidification; vortex flows; and combustion and numerical methods. He is the author of more than 100 journal papers and numerous other publications, is editor-in-chief of the Journal of Computational Physics and has supervised more than 20 doctoral dissertations. He holds two patents. A fellow of ASME, Tryggvason was conference chair for the 2008 International Mechanical Engineering Education Conference. He served as vice chair and chair of the Fluids Engineering Division’s Multiphase Flow Technical Committee; he was also a member of the Fluids Engineering Honors and Awards Committee. In addition, he served as lead organizer of the Numerical Methods for Multiphase Flows Symposium at the Fluids Engineering Division Summer Meeting for several years and co-organized other forums and symposiums at various summer meetings. 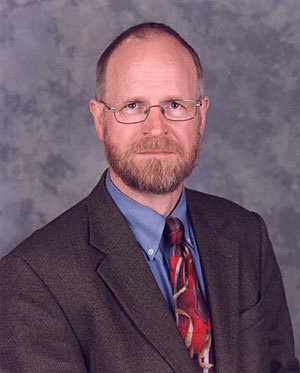 Prior to joining the University, Tryggvason served as head of the Department of Mechanical Engineering at Worcester Polytechnic Institute and as an assistant, associate and full professor of mechanical engineering and applied mechanics at the University of Michigan. He has also held short-term visiting positions at the California Institute of Technology, NASA’s Lewis Research Center, the University of Marseilles and the University of Paris VI. Tryggvason earned his bachelor’s degree in mechanical engineering at the University of Iceland in 1980. He earned his master’s and Ph.D. in mechanical engineering at Brown University in 1982 and 1985, respectively. Founded in 1880 as the American Society of Mechanical Engineers, ASME is a not-for-profit professional organization that enables collaboration, knowledge sharing and skill development across all engineering disciplines, while promoting the vital role of the engineer in society. ASME codes and standards, publications, conferences, continuing education and professional development programs provide a foundation for advancing technical knowledge and a safer world. Originally published by Nina Welding at newsinfo.nd.edu on July 06, 2012.